Yet another work from the past, “Footwork”. This is a 4 color block print done in 2002. It was featured in a special art issue of Longboard Magazine around the same time. 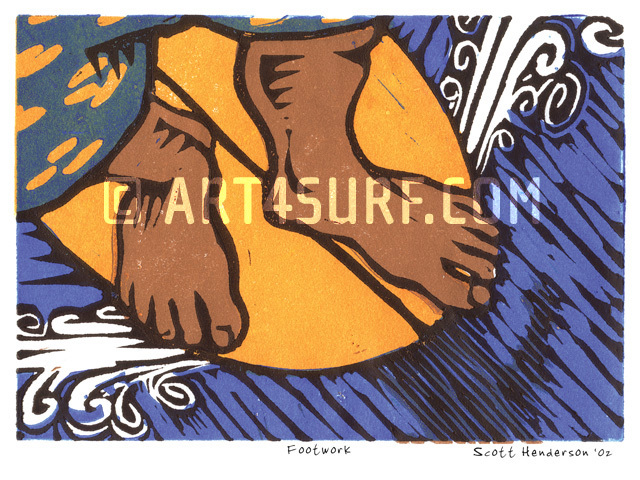 This was sold on art4surf.com, and a giclee print of this may be sold there in the future.